The Heal Spell was released in Clash Royale a few weeks ago. This is a very interesting spell which can bring tons of value If played properly. However, I still somehow haven’t seen people using it a lot in the Arena. That’s why I want to bring this spell to you guys again today. The Heal is unlocked from Arena 10 (Hog’s Mountain). It costs 3 Elixir to deploy. Its name describes everything. It is used to heals friendly troops. It can’t heal buildings. Its stats are simple just like this. At Tournament Standards, its healing speed is 167HP/sec and its lasts for 3 seconds, which is 501 HP in total. Technically, the Heal Spell is a reverse Poison with the radius of 3 tiles. Against Poison, Heal Spell protects your troops perfectly in the short term since its healing speed is better than Poison’s DPS. However, Poison wins in the long run because it lasts longer. In some specific situations, knowing this is crucial. 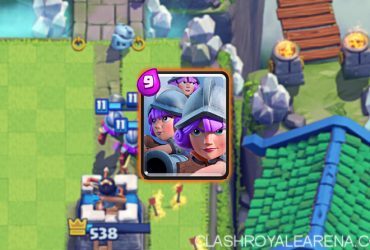 For example, If the opponent uses Poison on your Three Musketeers, heal them to deal extra damage, forcing your opponents to use other troops/spells to deal with them. Talking about synergies, the Heal Spell will be able to compliment glass cannons extremely well, especially when they were already damaged by troops/spells. 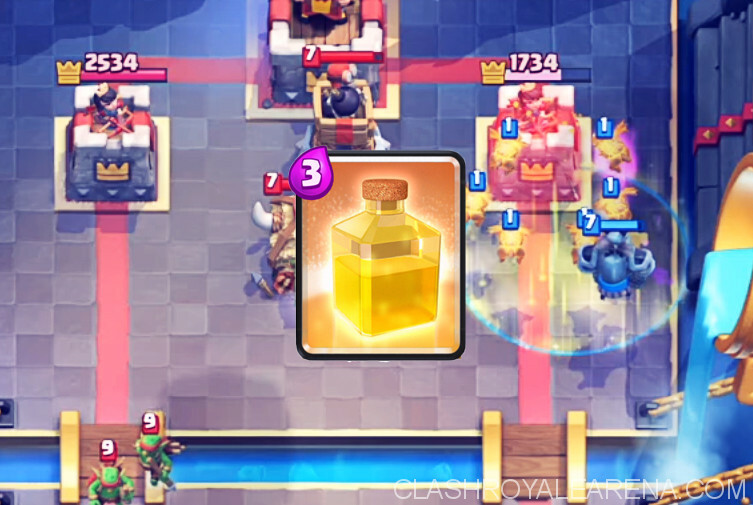 Using Heal Spell would negate some instant damage spells (which can’t one-shot your troops) and create positive elixir trades. For example, Use it when the opponent uses Fireball on your Three Musketeers. Here are some great uses of the Heal Spells for you. If you know any others, don’t hesitate to comment! Heal + Musketeer/Three Musketeers against Poison/Fireball: Positive Elixir Trade. (Note: Use the Heal Spell against Poison when your Musketeers have about 50% HP). Heal + Barbarians/Elite Barbarians/Knight/Bomber/Mini P.E.K.K.A/Goblin Gang/Hog Rider/Valkyrie/Mega Minion/Wizard/Battle Ram/Prince/Balloon/P.E.K.K.A/Giant Skeleton/Executioner/Bowler/Lava Pups/Inferno Dragon/Sparky/Ice Wizard/Lumberjack/Electro Wizard/Bandit: The Heal Spell will help these cards survive the Tower shots, dishing out extra damage. High risk, high reward! Think twice before doing this because you will face a pretty huge counterpush. Heal + Skeletons/Ice Golem: Not really recommend doing this… Only do this If you want to deal with Lava Pups or similar troops on defense when you don’t have any better choice. Heal + Fire Spirits/Ice Spirit: Do this when all you want to do is to finish off the opponent’s Tower. Heal + Ice Wizard/Miner/Dark Prince/Dar Goblin/Spear Goblins/Witch/Baby Dragon/Goblins/Archers/Guards/Minions: This also helps you do a lot more extra damage and is great for fast cycle deck. I don’t list other troops here because they either have little damage or can get 1 shot easily by most cards. Nitrome95 also shared a great article about the best cards and decks to use with the Heal Spell. You should take a look at here for more details. Will the Meta really shift? Due to the appearance of the Heal Spell, you would probably think about this, right? From my point of view, this wouldn’t change the meta too much. However, It will definitely add a lot more Beatdown decks using numerous glass cannons and cheap cycle decks into the Arena. 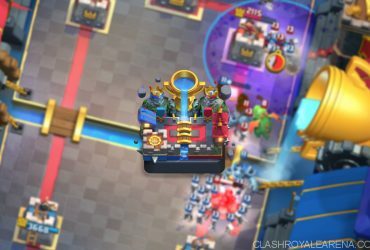 25 Best Tips for Hitting Legendary Arena!